Full guided tour through the historic center of Besalú. Come to sleep in and stay in our apartments Besalú Rural Garrotxa! 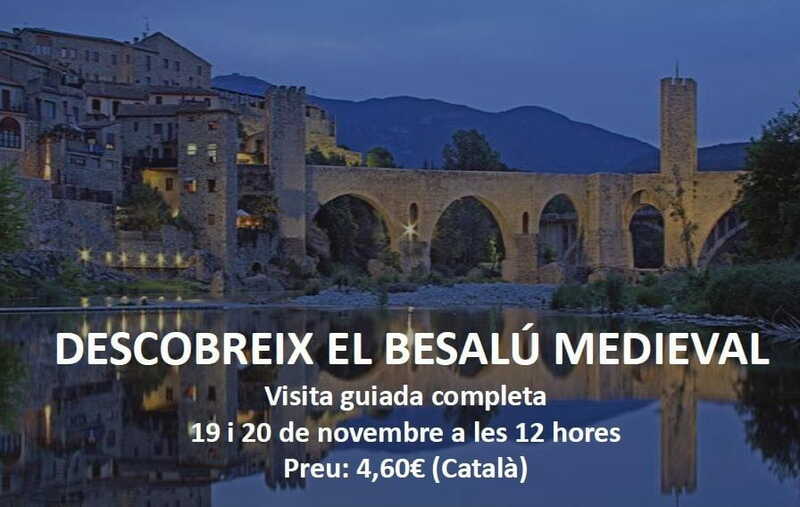 This weekend, 19th and 20th November, from the Tourist Office of Besalú there is a scheduled visit "Discover Medieval Besalú." This is a complete tour of the historic center of Besalú. Includes Jewish neighborhood and its most important buildings, the church of the Monastery of St. Peter and reproduction of a video on the history of Beºsalú. And which better place to sleep in Besalú than Cal Fuster after the tour?